The purpose of the Pareto Chart is to address the most important among a set of factors, the highest occurring type of defect, the most frequent reasons for customer complaints, and so on. 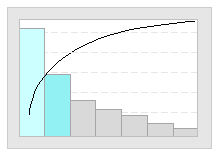 It combines an ordered bar chart and a line chart. The items on the left side of the chart are called the “vital few” while the rest are considered the “trivial many”. 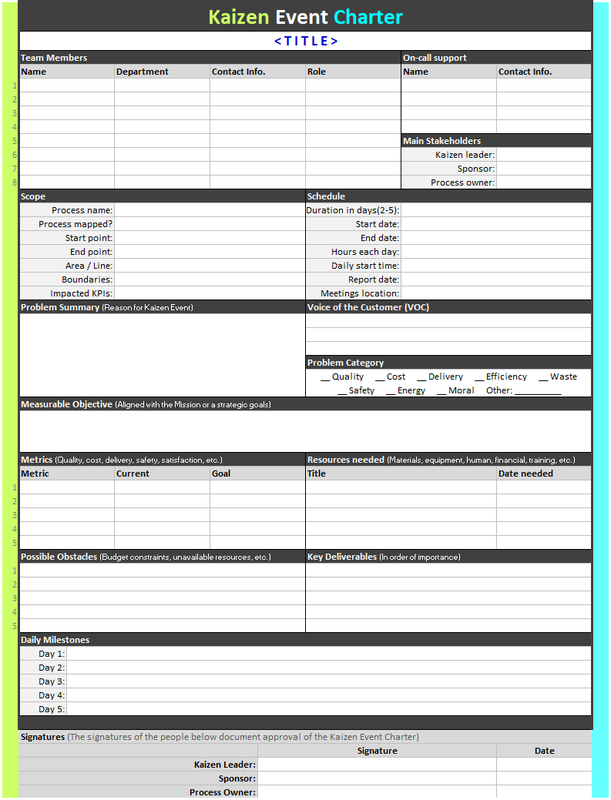 The Cause and Effect Matrix is used to understand the relationship between causes and effects. Whenever an output variable drifts out of specification, that is an effect. When an effect goes out of specification, you need to rank the potential causes in terms of importance, and the causes with the highest overall score should be addressed first in improvement efforts. 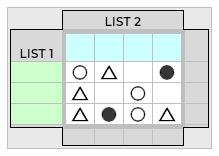 A Matrix Diagram is a table that allows sets of data to be compared to understand the relationship between them. 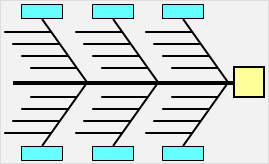 It displays the existence and strength of the relationship between pairs of items of the data sets. 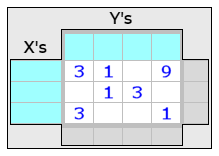 The relationship is indicated by a number or symbol in each cell where each two items intersect in the matrix. 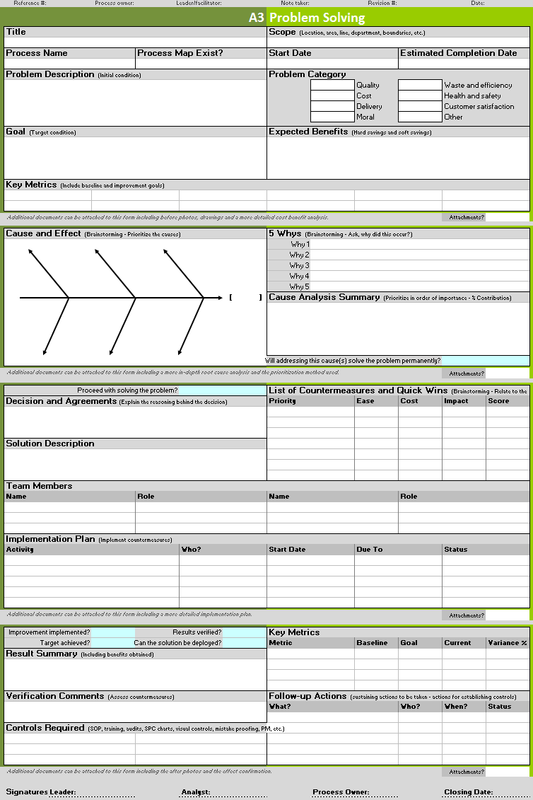 Matrix diagrams can be useful in a wide range of applications from matching requirements with specifications to assigning responsibilities based on competencies. 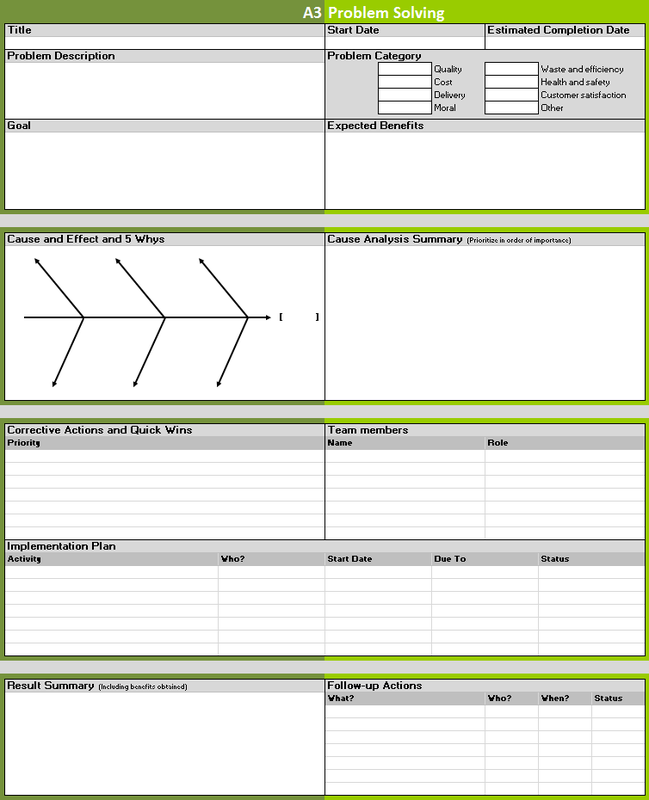 A3 Thinking is a logical and structured approach to problem solving adopted by Lean organizations around the world. It allows to focus on the real issues while helping the team collaborate to gain deeper insight into problems. 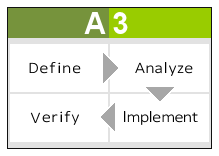 It is aligned with and supports the PDCA management philosophy. 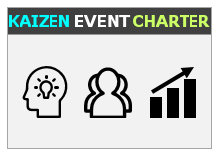 Kaizen Events are focused improvement activities designed to improve a process or work area. They emphasize on the elimination of unnecessary non-value added activities. This will result in improved quality, efficiency, delivery, cost saving, standardized systems and employee engagement. You can think of a Kaizen event as a continuous improvement activity at the micro level as opposed to some of the other large-scale efforts such as Lean and Six Sigma.